New to golf? No problem, come and learn to play! 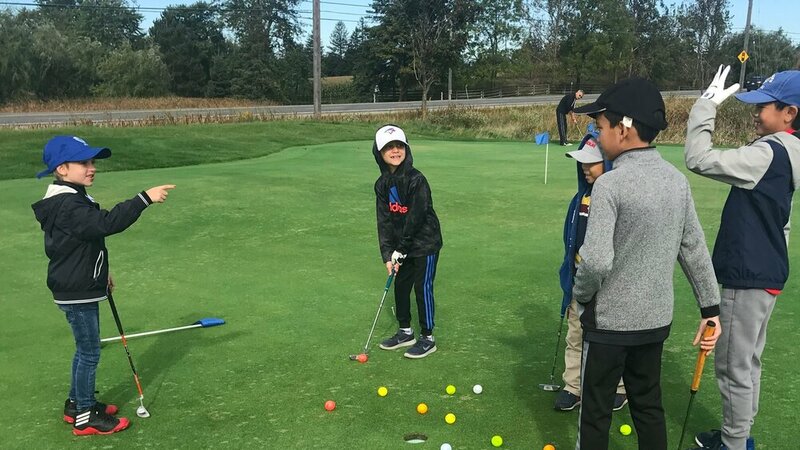 Led by outstanding PGA of Canada Professionals and Certified US Kids Teachers, Coach Dave Armstrong, and Coach Mich Sonnenburg, our L2P program provides boys and girls interested in the sport of golf with an opportunity to receive professional, age appropriate coaching and training in a fun and safe environment. This is a dynamic program that enables participants to acquire the necessary fundamentals, skills, and confidence to become successful golfers. L2P graduates may move up the development pathway into our New Competitive Golfer Programs, ages (8-13), and into our Strive for Excellence Program for golf athletes ages (13-18). Learn 2 Play outdoor season starts in May! Email Coach Dave Armstrong at dave@henrybrunton.com or call +1 (416) 899-7877 to register or request more information. Your 1st session is free!